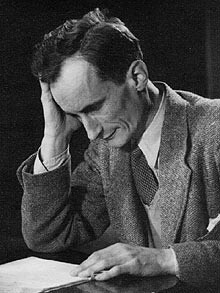 A British mathematician and World War II codebreaker, he was born in Oxford, England, the fourth son of Sir Francis Wylie, later the first Warden of Rhodes House in Oxford. He was educated at Dragon School (in Oxford) and then Winchester College. He won a scholarship to New College, Oxford where he studied mathematics and classics. In 1934, he went to study topology at Princeton University, obtaining a PhD in 1937 with Solomon Lefschetz as his supervisor. At Princeton he met fellow English mathematician Alan Turing. He became a fellow of Trinity Hall, Cambridge in 1938/1939. During World War II, when he was teaching at Wellington College, Turing had been recruited to work at Bletchley Park, Britain's codebreaking centre. Turing wrote to him around December 1940, and invited him to work at Bletchley Park. He accepted, and arrived in February 1941. He joined Turing's section, Hut 8, which was working on solving the Enigma machine as used by the German Navy. He became head of the crib subsection, and allocated time on the bombe codebreaking machines. Hugh Alexander, successor to Turing as head of Hut 8, commented that "except for Turing, no one made a bigger contribution to the success of Hut 8 than Shaun Wylie; he was astonishingly quick and resourceful and contributed to theory and practice in a number of different directions". He transferred in Autumn 1943 to work on "Tunny", a German teleprinter cipher. He married Odette Murray, a WREN in the section. In 1945, soon after the victory in Europe, He demonstrated how Colossus (electronic machines used to help solve Tunny) could have been used unmodified to break the Tunny "motor wheels", a task which had been previously done by hand. While at Bletchley Park, he became president of the dramatic club. He had also played international hockey for Scotland, but according to fellow codebreaker I. J. Good, he "never mentioned any of his successes". After the war, he was a fellow at Trinity Hall until 1958 and lectured in mathematics. With Peter Hilton, he authored, “Homology Theory: An Introduction to Algebraic Topology”, published in 1960. In 1958, he became Chief Mathematician at GCHQ, the UK signals intelligence organization. In July 1969, he was sent a draft paper by James H. Ellis, another GCHQ mathematician, about the possibility of what was termed "non-secret encryption", or what is now more commonly known as public-key cryptography, on which he commented, "Unfortunately, I can't see anything wrong with this." He retired in 1973, and taught at Cambridgeshire High School for Boys (later Hills Road Sixth Form College) in Cambridge for seven years. He was elected an honorary fellow at Trinity Hall in 1980. He was the Ph.D. advisor for Frank Adams, Max Kelly, Crispin Nash-Williams, William Tutte and Christopher Zeeman at Cambridge, through whom he has 788 "descendants" according to the American Mathematical Society Mathematical Genealogy Project. In addition he influenced the intellectual development of generations of pupils at the Cambridgeshire High School for Boys / Hills Road Sixth Form College where he taught math and classical Greek, and where he also produced plays, such as Chekhov's The Cherry Orchard and coached the school Chess Team which rather than playing other schools, played and usually won against college and university teams. He also came out of retirement temporarily to teach Mathematics at Long Road Sixth Form College. After retirement from teaching, he was instrumental in the founding of the Liberal Democrats and in the Cambridge-based University of the Third Age (U3A) and at the time of his death was preparing to read in the next Cambridge Greek Play, Aeschylus' Agamemnon. He possessed an incisive insightful intellect and was a man who brought good humour to those around. He was reticent and modest about his many significant accomplishments. He would patiently encourage and coach those who he felt were promising but under-performing. He was an inspiration to those who came in contact with him.